Cedrus atlantica 'Uwe' is an extremely slow-growing and very low and prostrate form of Atlas cedar. 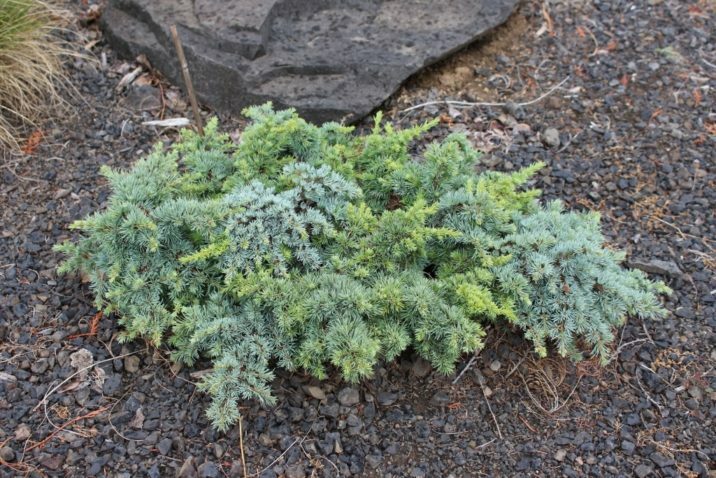 Its rich Blue foliage is much shorter than that seen in the typical. It takes forever to create a small plant, making it a choice selection for the rock garden. It should also be noted that this is an extremely difficult plant to maintain. It requires perfectly-drained soil and good air circulation as its growth habit and proximity to the ground make it very prone to fungal blights. After 10 years of growth, a mature plant will measure 3 to 4 inches (7.5 to 10 cm) tall and 6 inches (15 cm) wide, an annual rate of only about 0.5 inch (1 cm) per year, resulting in a Blue, flattened globose bun. Günther Horstmann of Schneverdingen, Germany is credited with the origin and introduction of this cultivar through his family's nursery. 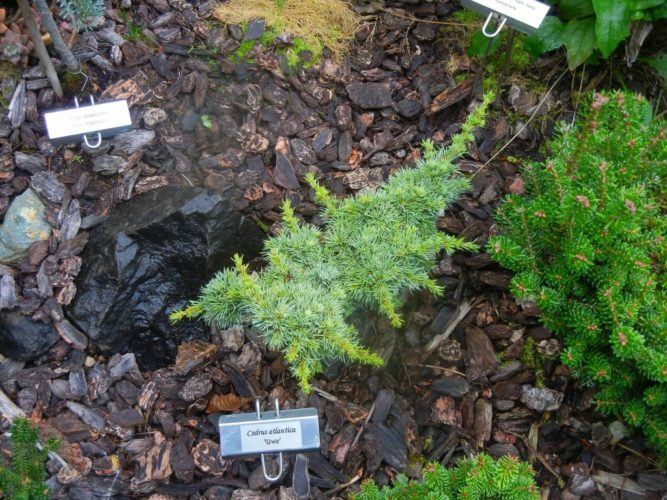 This conifer originated as a witch's broom found by Günther in the mid 1960s growing in an Atlas cedar outside a post office in the United Kingdom. He named it in honor of his son, Uwe. Cedrus atlantica 'Uwe' — a flawless specimen at Hobbiton Garden, Port Orchard, Washington. 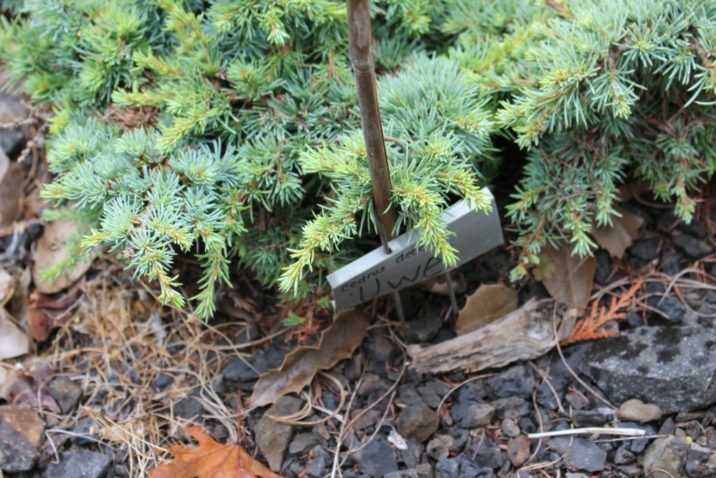 Cedrus atlantica 'Uwe' — a closeup of foliage detail. Cedrus atlantica 'Uwe' — maybe one of the largest in the U.S. at the Flora Wonder Arboretum, Gaston, Oregon.